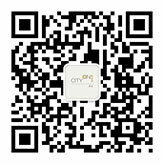 CityOn wonderland is going to open. Let us have a prior look at what fun inside. and hot African drum show, where the exotic customs are vividly expressed. The interesting interactive class requires science & technology and brainstorm. And ABIE interactive classes bring kids the surprise and joy. Learning comes from the fun, and fun inspires learning. Ukulele and drum-kit instantly create you a beautiful music planet. You are the master of your planet. And more parent-kid games are waiting for your participation.